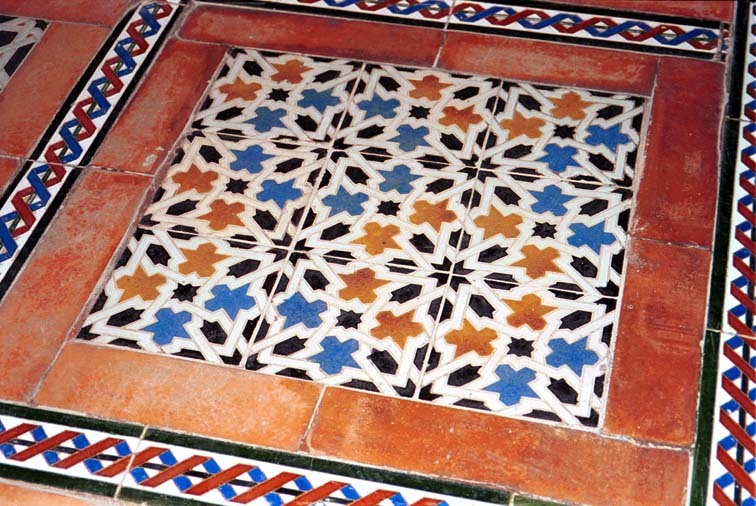 The Alcázar Palace is decorated throughout with tilework, in varied geometric patterns. 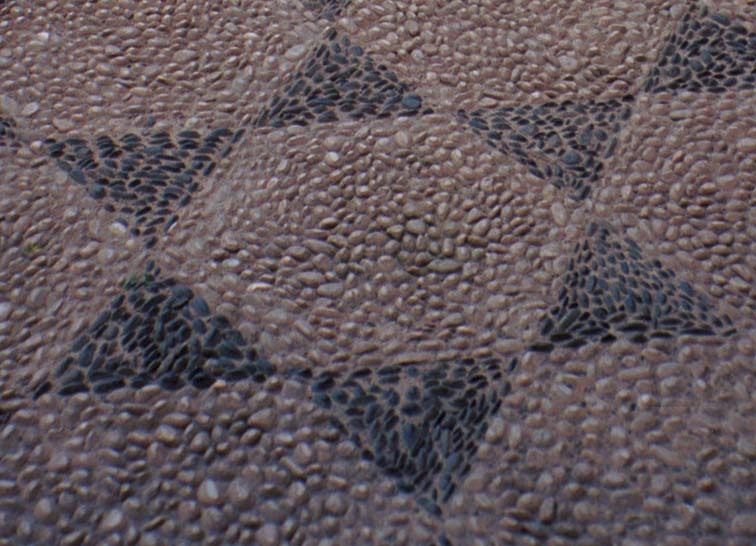 This pattern fills a courtyard near the entrance. It is made from flat rocks laid on their edges in a similar method as that employed in Cordoba. This carved panel was waist-high in an interior room. This tile was along a wall. 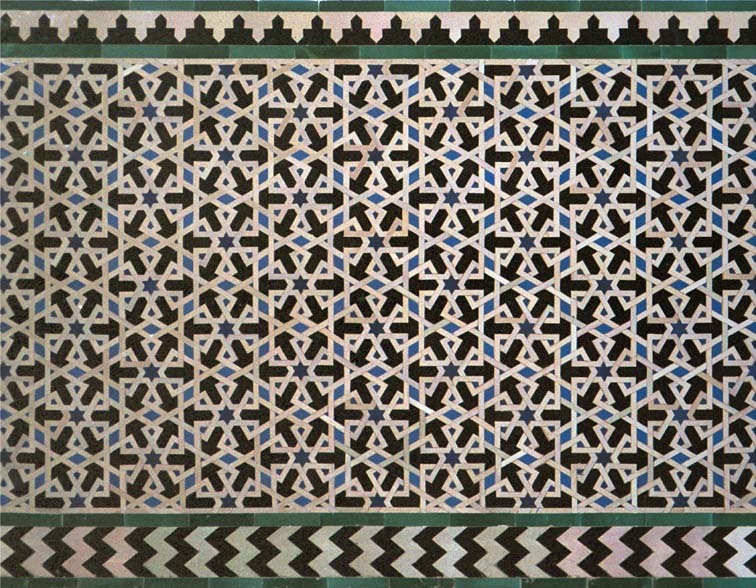 This tile is on a floor of the palace.